Historically, grit removal has not received the same attention as other processes in water resource recovery facilities (WRRFs). However, this has been changing in recent years. Operators of WRRFs have put substantial effort into optimizing settling, aeration, and anaerobic digestion processes, but these activities can have a diminished impact if troublesome debris, like grit, travel past the headworks to the downstream processes. The impacts of this debris on the downstream process can include accumulation of grit in aeration tanks or anaerobic digesters, and premature wear on downstream equipment. Several types of grit removal systems can be implemented at WWRFs. Traditionally, horizontal flow grit chambers, detritors and aerated grit tanks have been utilized. Vortex grit chambers have recently become a popular choice in new and retrofit projects. There are two types of vortex systems: mechanically induced vortex systems, and multi-tray systems. In general, both systems add rotational forces to enhance the gravity forces acting on grit particles to improve separating them from wastewater. They have a smaller footprint and achieve removal efficiencies similar to, or better than, other types of systems. In a mechanically induced vortex chamber, an impeller is used to augment the circular flow pattern. In mechanically induced vortex systems, the tank inlet is configured to induce a swirl or vortex and an impeller is used to augment this circular flow pattern. In multi-tray units, no impeller is used. Instead, the configuration of the tank inlet allows for the development of a vortex flow pattern and even distribution to the stacked conical trays. 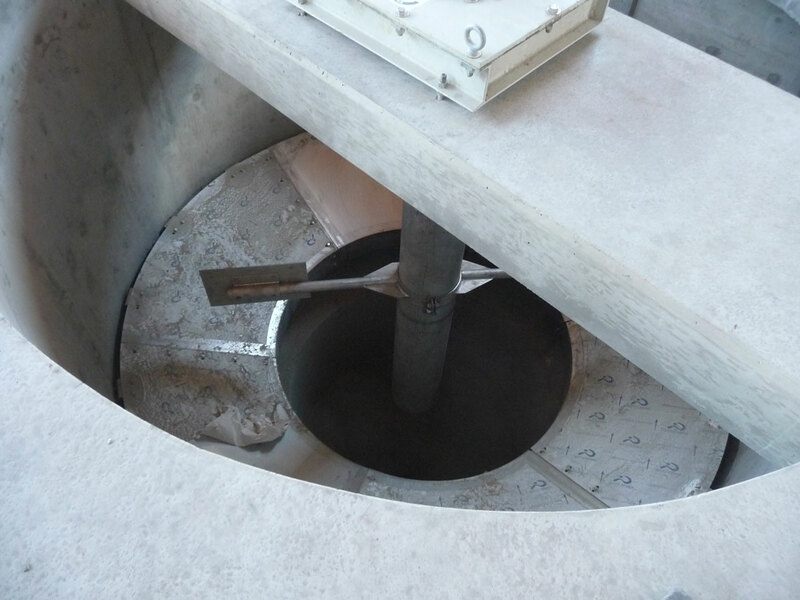 Both systems settle grit to the bottom of the tank and periodically remove it, typically by pumping, for further dewatering prior to disposal. One of the key advantages of vortex grit systems is that they have a compact footprint. This is very appealing for treatment facilities that are looking to increase capacity or improve removal within an existing system, but have limited footprint available to increase the surface area available for grit removal. Most mechanically induced vortex systems have low headloss requirements, which can be beneficial when trying to incorporate these systems into an existing hydraulic profile. Impact on the hydraulic profile is a critical consideration when evaluating the addition of a new grit removal technology into an existing facility with minimal modifications. As an example, most existing detritors are shallow (i.e., 1 m deep), so if this system is to be replaced with a new technology, then there may be limited available hydraulic gradeline for the new system. Despite the advantages of vortex grit removal, during the design of these systems, it can be challenging to ensure that the desired grit removal performance is achievable. Vortex systems are largely proprietary, and as a result the design must be conducted largely based on the advice provided by equipment vendors. It is important to note that often grit removal performances identified for these units are based on ideal conditions (i.e., sand settling in clean water), which can be very different from actual grit in wastewater. 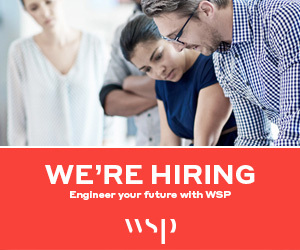 Even standard references, such as the Ontario Ministry of the Environment Conservation and Parks Design Guidelines or the Water Environment Federation (WEF) Manual of Practice No. 8 have little design guidance related to these units. Instead, they recommend that a designer develop their design and target removal efficiencies through conversations with equipment vendors. 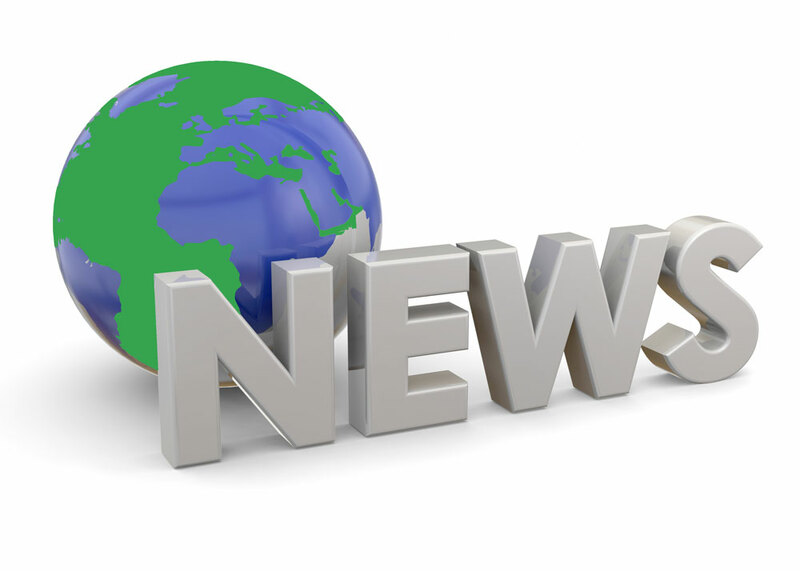 As a result, it is difficult for designers and owners to verify that the system which is being specified is in fact appropriate for the application. This is further compounded by the wide variability in grit quantities and characteristics between facilities and even at the same facility, due to seasonal or diurnal fluctuations in flow. A thorough understanding of the fundamentals of grit removal, and how recent advances in the field can be applied to the design of new and retrofit systems, is necessary for effective technology selection and design of a vortex grit removal system. The term “grit” refers to a wide range of heavy, abrasive material ranging from rocks and sand down to large organic particles. The design of grit removal systems is usually based on the settling rate of uniform, spherical sand particles with a specific gravity of 2.65. However, since grit is comprised of a wide range of non-uniform, irregularly shaped particles, which can also be coated in organics, fats, oils or grease, this results in particles that can have a range of specific gravities. Consequently, grit found in wastewater does not settle like the ideal sand particle in clean water. Further complicating matters is that grit composition varies at each site, and the characteristics at a specific site can change over time (i.e., seasonal, wet weather events, etc.). In a typical gravity-fed sewer, large grit particles with a diameter greater than 225 microns have the potential to settle out in the sewer system under normal flow conditions, and can be flushed into the WRRF during wet weather events. The composition and quantity of grit can vary greatly between plants and even at the same plant over the course of a day or year. Due to the variability of grit, it is important to characterize the grit coming into a WRRF to inform the design and technology selection. However, there are no standard methods for grit sampling as there are for other wastewater constituents, which has led to inconsistent characterization of grit when sampling is undertaken. In 2016, WEF published Guidelines for Grit Sampling and Characterization, which outlined methods for grit identification and treatment, including a comprehensive appraisal of these methods to help increase understanding of the implications of each method and assist in the proper design and optimization of grit removal systems. Figure 1. An example of a particle distribution graph. Grit sampling data allows for an informed decision regarding technology selection and anticipated target removal rates. Regardless of the sampling method used, the variability in grit at a facility means that multiple days are recommended for a given sampling trial. But, this can have limited representation on the overall grit composition due to seasonal fluctuations. As a result, sampling can be very expensive and involve multiple days of work on site and in a laboratory. This leads to it rarely being conducted as part of design assignments. When this characterization work is not done, design must be based on “typical” grit properties. Table 1. Typical removal criteria for vortex grit systems. A number of studies have been undertaken on vortex grit systems over the last 10 years into the mechanism of grit removal in WRRFs, as well as methods to improve grit removal. Overall, these studies have suggested that the design parameter which has the greatest impact on grit removal efficiency is the surface overflow rate (SOR), which is the flow divided by surface area. Recent studies have suggested that the dominant mechanism of grit particle removal in vortex chambers could largely be attributed to gravity settling. This means that to achieve higher grit removal efficiencies, particularly at a facility with small grit particles, a larger surface area is required to allow for this type of setting. With all the uncertainty regarding grit removal, and the high cost of characterizing grit at a particular site in order to inform a design, it can become challenging for a designer to verify that the design of a vortex system is appropriate, beyond relying solely on the manufacturers. However, a designer can have confidence that a vortex system will perform as well as possible given the site-specific constraints which are encountered, if the following current best practices are considered. Due to the potential for large grit loadings during wet weather events, sizing vortex grit removal systems for peak flows can allow them to remove grit even when faced with these high loadings. This will allow the unit to operate at a lower SOR at average daily flows, which promotes effective grit removal. 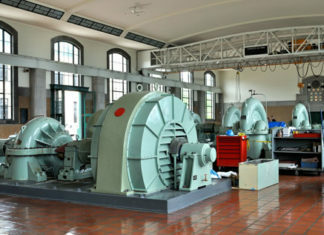 In most retrofit applications, vortex units are installed at grade, with suction pumps situated on top of the vortex. There are two options for pumping types in these situations: vacuum or self-priming centrifugal pumps, or airlift pumps. Airlift pumps can be effective options for vortex grit systems with a diameter less than 2 m. However, when these are used on a very large vortex grit tank (i.e., 5 m), they may not generate sufficient lift to effectively remove grit that has collected at the bottom of the vortex chamber. This results in low grit production and therefore removal. In these situations, it is necessary to use centrifugal pumps. Depending on the budget available, if a vortex system can be constructed so that the bottom of the vortex unit is accessible in a building, then it would be recommended to use centrifugal pumps with the suction located at the base of the units. 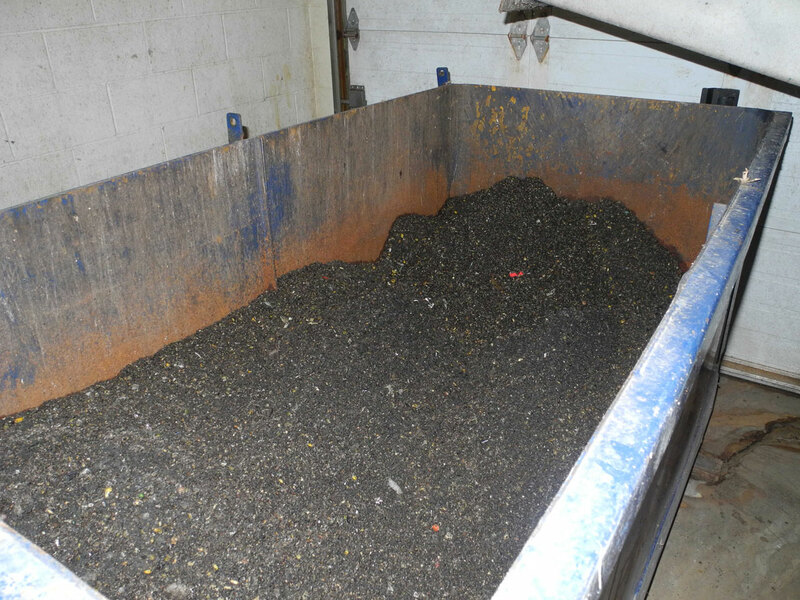 After removal from the vortex chamber, grit must be dewatered and washed to produce a dry grit suitable for disposal and maximize the return of organics back to the treatment process. Installation of grit concentrators on top of the grit classifier can reduce the flow of grit slurry into the classifier, and reduce the risk of hydraulic overloading of the classifier. Installation of concentrators is commonly done, but is not present at all facilities. It is also recommended to discuss the angle of hydrocyclone installation with vendors, as this varies between different products and can have a significant impact on concentrator performance. The above best practices can allow designers to incorporate recent advances in the field of grit removal into future upgrades when there is limited information available. However, if grit sampling data is available, this offers the opportunity to make an informed decision regarding technology selection, tank size, and anticipated target removal rates. When conducting grit sampling with the purposes of informing a design, the particle size distribution can influence which technology is selected. 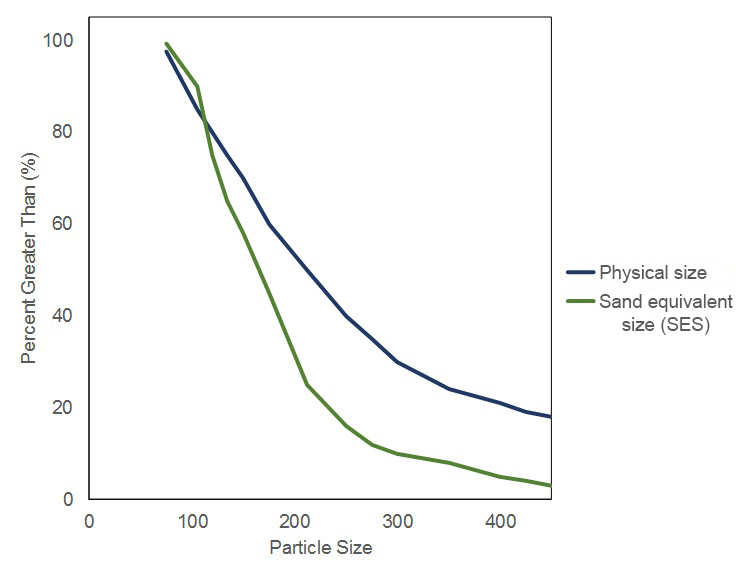 If there are a high percentage of small particles, then a larger surface area could be required to remove these particles. This would suggest that a multi-tray vortex system would be preferable, due to its ability to achieve high removals of particles down to 150 µm. However, not all facilities have sufficient hydraulic profile for such a system. Multi-tray vortex systems require up to 1 m of hydraulic head, which is not available in many retrofit applications. When the implementation of a multi-tray system is not possible at facilities where there is a large proportion of small particles, then it may be beneficial to install a larger vortex system to increase surface area. If the footprint available is also extremely limited, sampling will have less impact on the design, but can permit designers and owners to have a realistic expectation of what grit removal efficiencies are achievable in the water resource recovery facility, prior to construction. Michael Blain, Paula Steel and Ed Salenieks are with Associated Engineering. This article appears in ES&E Magazine’s August 2018 issue.